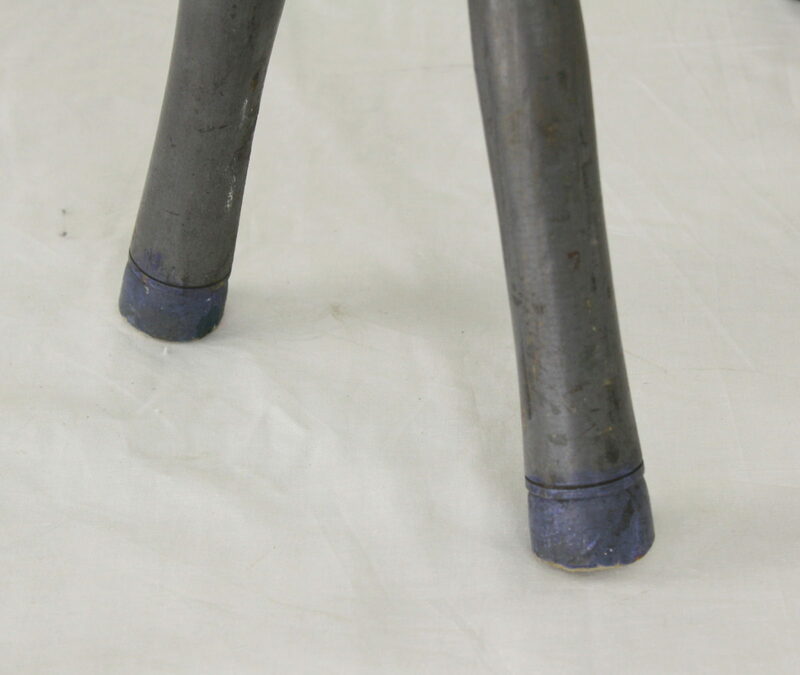 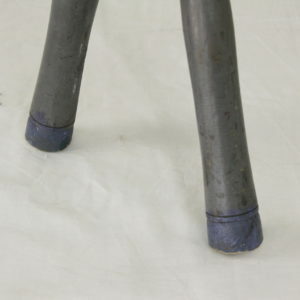 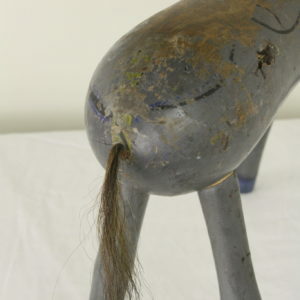 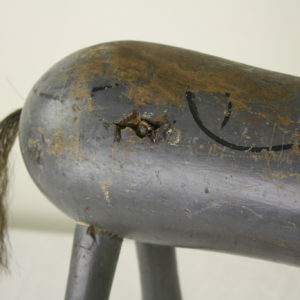 Here is a very dear horse, on it’s long slender legs, and with an awfully cute back end, with a little horsehair tail. 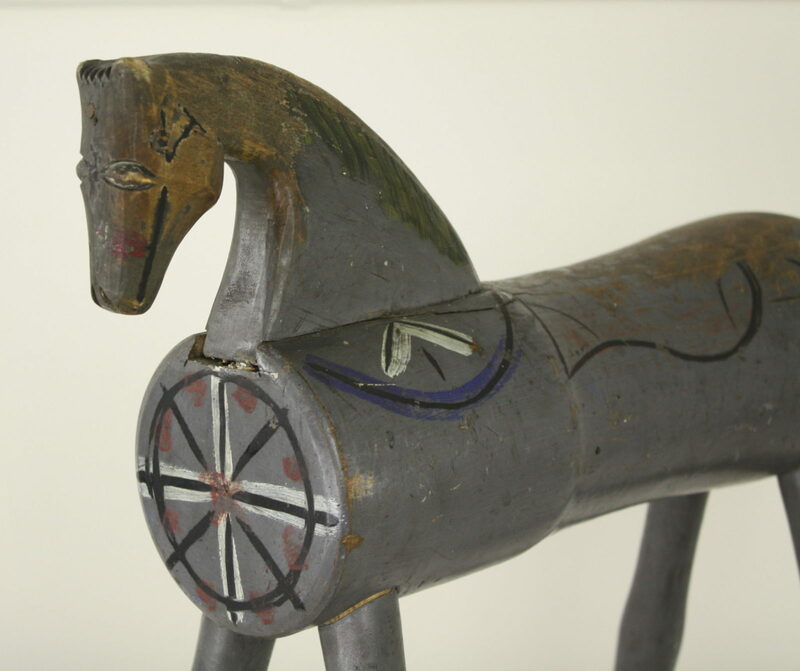 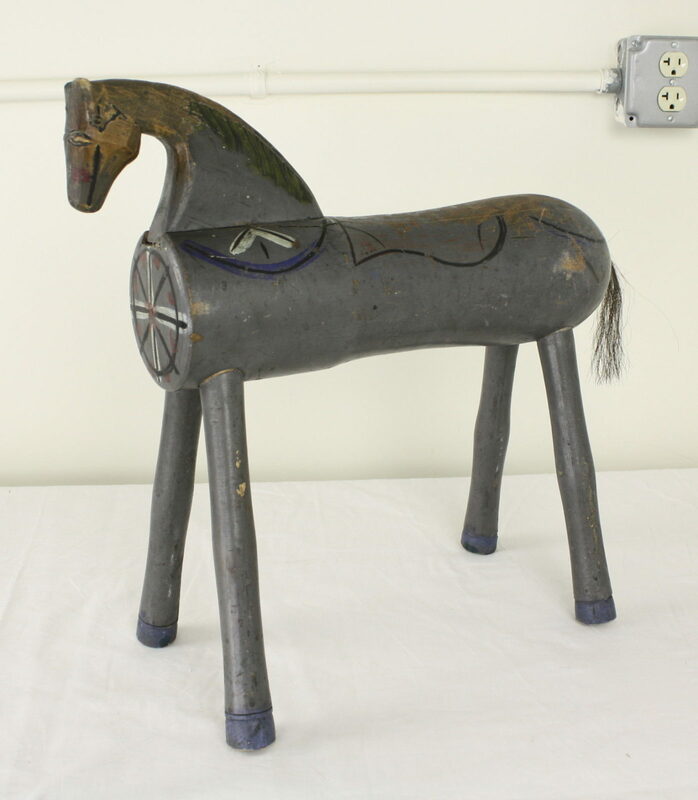 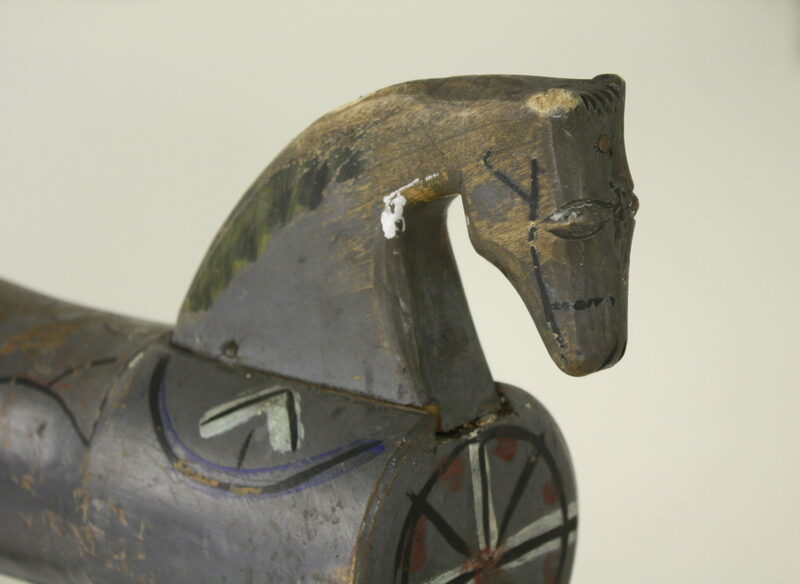 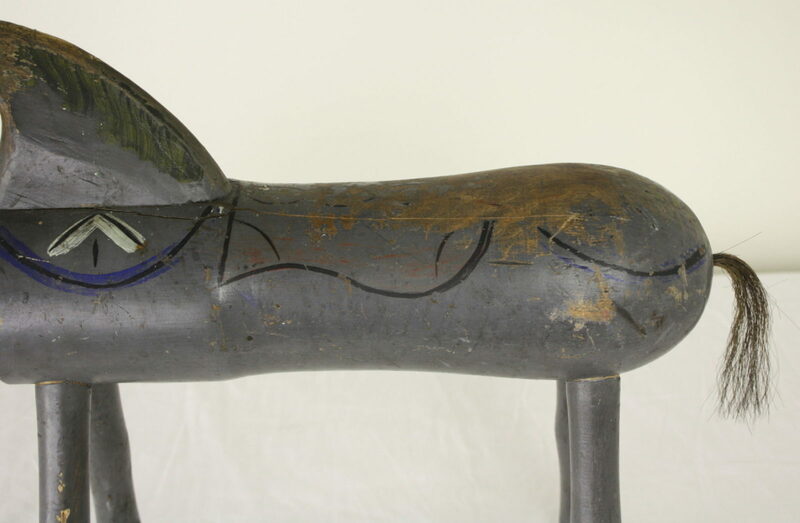 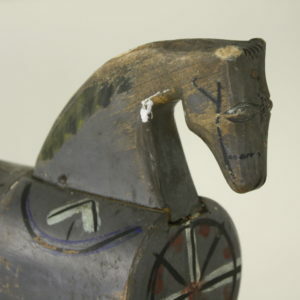 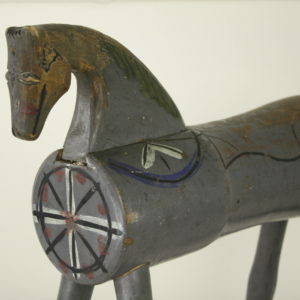 There is the typical Swedish blue color, with painted decorations, even a painted bridle, and mane. 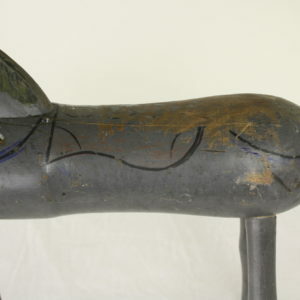 The horse is 20″ long. 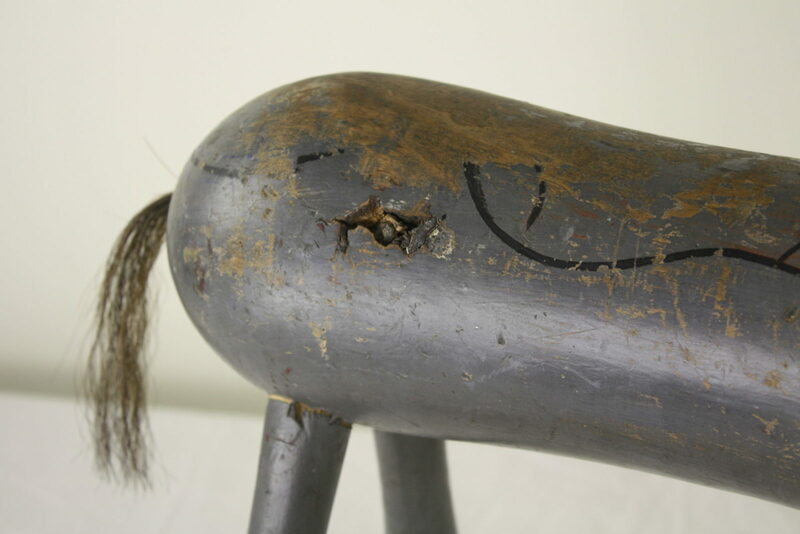 Endearing. 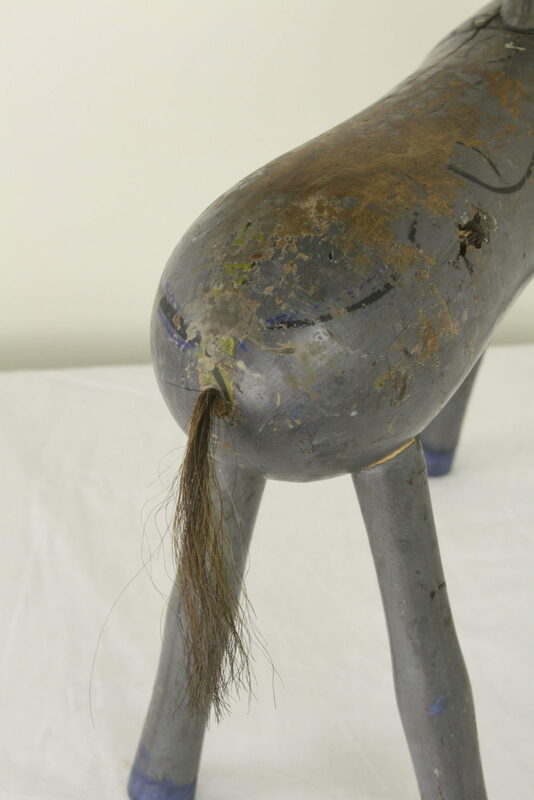 And a wonderful decoration for the home.